SKU: BW. Category: Waxes & Polishes. It’s hard to beat the finish and reflective qualities found from pure carnauba. 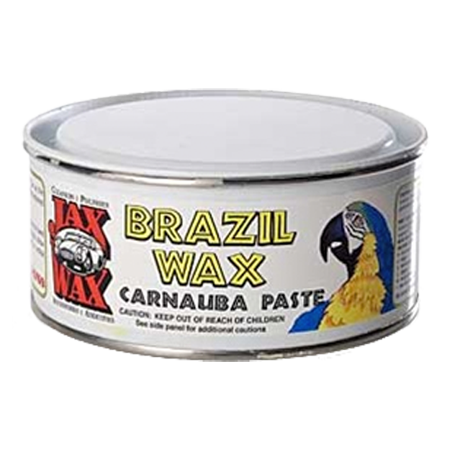 Jax Wax Brazil Wax is made from the highest quality of Brazlian Yellow #1 Grade of Carnauba that is available. Other than high reflective qualities, Carnauba is also the hardest known natural wax available – providing an extremely hard shell over your finish – protecting against scratches and other surface contaminants. 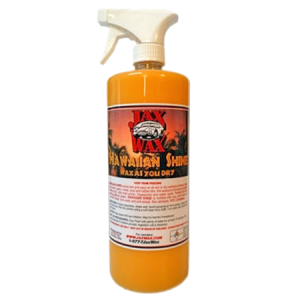 Jax Wax Brazil Wax also naturally difuses UV rays from the sun to help prevent against fading and oxidation. 1. For best results – start with a clean surface – wash your ride first! Think of applying wax like painting a wall – the better surface you start with the nicer the finish will look. 2. Using an Applicator / Wax Pad apply the product in thin even layers. Thin is In! You not are adding anymore protection, durability or shine by using more product. No need to use circular wiping motions! Just wipe it on in straight lines, slightly overlapping each time. By applying the product thin, you also avoid caking wax in the body seams and are not wasting product. 3. Do the entire vehicle at once. Don't be scared – because the product comes off so easy and without streaking or hazing, it is not necessary to do sections at a time. 4. Wax your windshield, glass, mirrors and chrome. The product works similar to rain repellent products, will not streak with the wipers and is a lot easier to apply. 5. After the product dries, wipe it off and reveal a brilliant finish! Turn your towel over frequently to achieve best results. For best results and to eliminate scratching use a Microfiber Towel. For best results use a Microfiber towel. Microfiber towels are ultra-absorbent and will NOT scratch your finish. 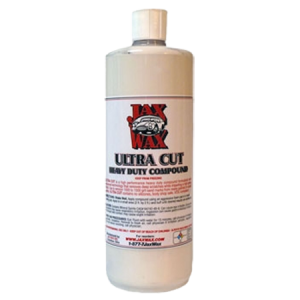 By using Jax Wax Liquid Carnauba Paste Wax on the windshield and glass, you will achieve the same result as rain-repellent products without all the work – water will bead right off the surface improving visibility. 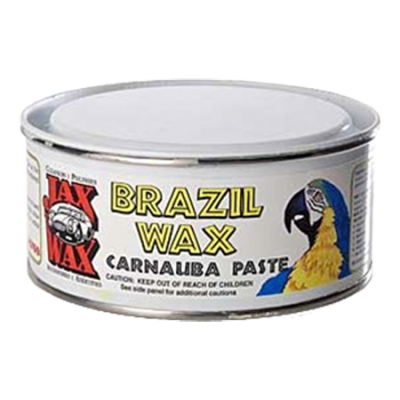 Be the first to review “Jax Wax Brazil Wax - Pure Carnauba Paste Wax” Click here to cancel reply.